The recovery from a serious illness, injury, or surgery doesn’t necessarily end when a patient is discharged from the hospital or long-term care facility. Discharged patients often require extensive assistance at home and it can be difficult for family members to meet their needs. This is why families might consider making arrangements for in-home care near Memphis. In-home care providers can help individuals with personal needs, such as bathing, dressing, and toileting. They can facilitate the patient’s recovery by providing mobility assistance and helping him or her follow a nutritious diet. 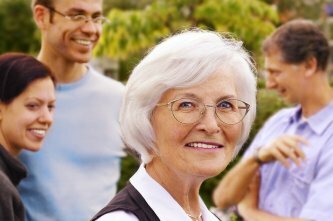 Elder care providers can even drive individuals to and from medical appointments to ensure they receive the proper follow-up care they need to recover. With the care provided by an in-home caregiver, individuals may be less likely to require another hospitalization. For example, when a senior is discharged from the hospital after sustaining a hip fracture, he or she may be more likely to fall again if no one is available at home to assist with daily tasks. In-home caregivers can provide reassurance for family members that their loved one is safe. As your terminally ill loved one nears the end of life, you may find yourself feeling overwhelmed with anticipatory grief and the challenges of meeting your loved one’s needs. If your family hasn’t already done so, you may reach out to a hospice care provider. Arranging for home care in Memphis can ensure your loved one receives the help he or she needs while giving your family some much needed time to simply be present with your loved one. It’s likely that your loved one will become increasingly unable to care for him-or herself. Your loved one may be confined to a bed, which means he or she needs assistance with toileting. 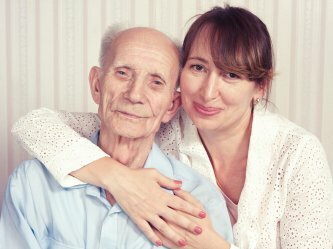 It is often difficult for family members, particularly adult children, to help their loved ones with tasks of such a personal nature. A home health care provider can assist your loved one with toileting to preserve his or her dignity. An in-home care provider can also help you position your loved one to improve comfort and reduce the risk of bedsores. There are many other things you can do to improve your loved one’s physical comfort. If he or she is no longer eating and drinking, you may apply lip balm and periodically insert a small ice chip into his or her mouth. 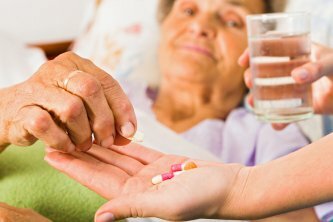 If your loved one appears to be in pain, let the physician know that he or she may need additional medications or a stronger dose. Even as individuals at the end of life lose many basic functions, they can often still hear their family members. Touch his or her hand to let your loved one know you’re there and speak to him or her with a calming voice. If your loved one is aware enough to respond to the surroundings, he or she may sometimes become agitated or confused. Provide reassurance as needed. The physician can address severe agitation. It is impossible to know how long someone will require end of life care. You may wish to learn some of the indicators that the end is near so that you can prepare yourself. Generally, individuals become withdrawn and sleep more than usual. They may want to change positions frequently and they may have changes in breathing. Do not become alarmed if your loved one refuses food and drink; this is also typical. When individuals require care due to age, disability, illness, or other reasons, families often struggle to provide the assistance they need. This is a common reason for transfers into a long-term care facility such as a nursing home. However, there is an alternative that offers advantages for the whole family. A provider of long-term care serving Memphis can assist families by caring for their loved ones without the need for institutionalization. Since in-home care providers are professionals in their field, families can rest assured that their loved ones are in good hands. One significant benefit of elder care or hospice care within the home is that the individual maintains his or her freedom and independence. At a nursing home or other facility, the residents often do not have a choice regarding whether or not they have a roommate, and whether they can choose when and what to eat. They may be obliged to follow the institution’s schedule for activities and other events, regardless of personal choice. By arranging for in-home care, families can preserve their loved one’s independence, privacy, and dignity. Safety at home is often a major concern for families, particularly as a loved one grows older. With the assistance of a home care provider, individuals have a greatly reduced risk of suffering an accident and injury when bathing, dressing, or transferring from a bed to a wheelchair. Since a home care provider can prepare the individual’s meals, there is a lessened risk of an accident in the kitchen, such as a fall or a house fire. Research suggests that individuals who recover from illnesses at home and seniors who age in place may enjoy better overall health than those who are institutionalized. With the constant threat of infections, hospitals aren’t always healthy settings for recovery. Additionally, seniors who are placed in nursing homes may not necessarily receive close attention from overworked facility workers, which means that health problems may go undetected. Emotional health is another important consideration. An in-home caregiver provides companionship for individuals who may have trouble getting out of the home. When your senior loved one needs assistance taking care of him or herself, home health care in Memphis could be the best solution. At-home care offers many benefits to seniors and their families, whether your loved one needs very basic home care services or something more complex, like dementia or hospice care. Why should you consider at-home care for your senior loved one? Here is a look at some of the benefits. Leaving home can be a difficult experience for seniors. Many studies have indicated that seniors do better when they receive care at home. They don’t have to adjust to new surroundings, and being in familiar environments can be emotionally comforting. For patients with Alzheimer’s, staying at home can be particularly helpful during the early stages of the disease. Whatever level of care your loved one needs, in-home care aides can help provide it. When your loved one moves to a care facility, he or she will inevitably lose personal freedom. There will be set meal times, times for specific activities, and restrictions on visitors. This can cause distress for seniors as well as their families. With home health care, your loved one will be able to maintain the right level of independence while still getting the support he or she needs. Whenever a loved one needs care, there is always a financial aspect to consider. Although most people assume otherwise, it can actually be more cost-effective to use at-home care rather than moving a loved one to a nursing home or assisted living facility. One of the biggest financial benefits of home health care is that you can structure it specifically to your loved one’s needs. You will only have to pay for a caregiver when your loved one needs it instead of paying for care around the clock, as you would at a care facility. This option also allows family members to take on some of the care responsibilities, which helps to lower costs.